If you’ve been considering a drinking water system for your Phoenix, Arizona, home, RainSoft can pair you with the perfect one for your needs. 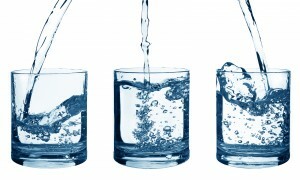 We offer a number of highly efficient drinking water systems, with an option to suit nearly every lifestyle. When you reach out to RainSoft, you’ll receive a complimentary in-home water hardness and drinking water test, which can help us determine which hardness minerals and impurities are present in your water. From there, our authorized Phoenix dealer will provide you with a personalized recommendation for a drinking water system that will make your water as clear and refreshing as possible. With every sip you take, you’ll be amazed that something so clear and refreshing came out of your kitchen faucet. You’ll also love how the benefits extend to your prepared beverages, ice cubes, and even foods – everything you make with the water will taste better than it did before. Our drinking water systems have been Tested and Certified by the Water Quality Association, and carry the coveted Gold Seal as a sign of their reliable performance. What’s more, they’re backed by a Limited Lifetime Warranty, making them an even smarter investment for your hard-earned money. When you’re ready to get started, give RainSoft a call. We’ll explain everything you’d like to know about installing a drinking water system in your Phoenix, AZ, home.